We all have come across some situation in our lives where we are required to undergo blood test – either as a part of a normal checkup or if we are unwell. You may notice, that your clinician advice you to visit the laboratory on an empty stomach. Your physician may advise you some hours of fasting before calling you in to draw blood. Fasting before a test means that you are not supposed to eat or even drink water for about 8-12 hours before your blood test. You are also not allowed to smoke or chew gum. Why do they ask you to fast? Which are the blood tests require fasting? What happens if I don’t fast? – These are some questions clinicians always come across. 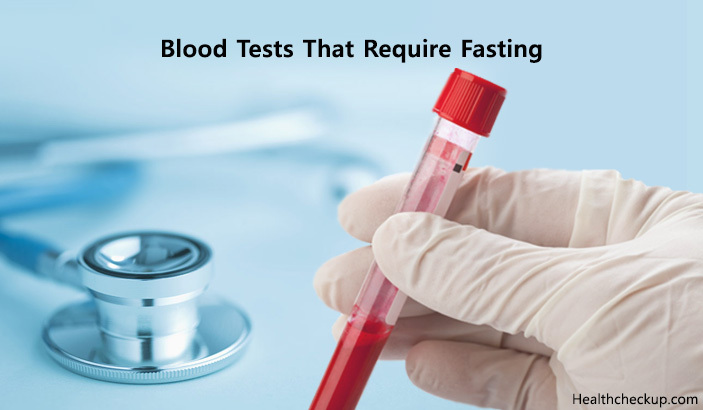 This article will feed your curiosity regarding fasting for blood tests and will give you an insight into which blood tests require fasting and for how long. Why Do Some Blood Tests Require Fasting? Certain blood tests require you to fast for 8-12 hours. The reason for asking you to fast is because when eat or drink beverages, certain nutrients, substances or vitamins enter into the bloodstream and can be responsible for giving a wrong result. Fasting before these advised blood tests ensures more accurate results. Certain blood tests require you to not even drink water. Otherwise, drinking normal water will keep you hydrated and prevent your veins from collapsing, so drawing blood becomes easier since your veins are visible. Avoid food, alcohol, soda or aerated drinks, tea, coffee, chewing gums and even exercising while fasting. You need to consult your physician if you can take your regular dose of medications (except for multivitamins and dietary supplements) during fasting or adjust the dose timings for the purpose of fasting. This is because certain drugs can alter test results. What Happens If You Don’t Fast Before Blood Test? Not fasting for a blood test will yield inaccurate results. As mentioned above, as the food is digested and metabolized, the nutrients which enter the bloodstream can interfere with test results. If you happen to accidentally eat or drink something before a blood test, make sure to inform your clinician about it. In this case, both the clinician makes a note of it and test results are analyzed accordingly or you for better results, an appointment for the blood tests may need to be rescheduled. Blood Glucose Fasting – Any food or beverage increase blood sugar levels. This test is especially important in diabetic individuals and also as a part of screening for regular health checkups. Fasting therefore gives a baseline estimate of your blood sugar levels after fasting. Glucose Tolerance Test – In this test, a test for blood sugar is done on a fasting stomach. After that, a measured dose of glucose is given to be taken within 5 minutes. Blood sugar levels are done at a regular interval of 2 hours. Another variation for this is an oral glucose challenge test done usually in pregnant women which does not require fasting. Gamma Glutamyl Transferase – This is an enzyme is found in all parts of the body, more abundantly in the liver. It is frequently used as a mirror for liver diseases. GGT is elevated after consumption of alcohol and certain drugs like NSAIDs, aspirin, phenytoin and barbiturates. 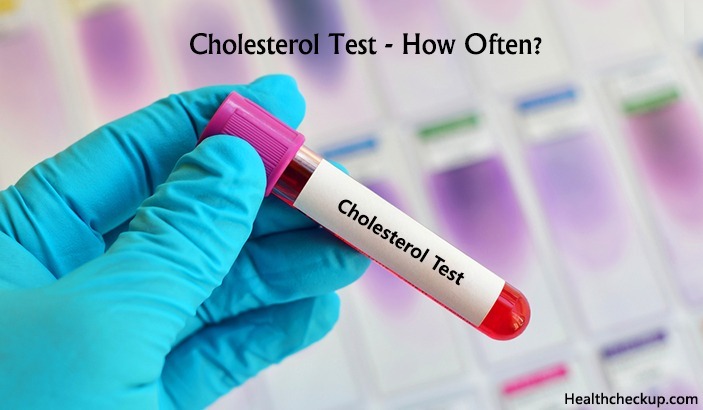 Lipid Profile – This blood test is done to analyze levels of cholesterol and triglycerides in your blood. Fasting before blood cholesterol levels will give accurate baseline readings. Again, for this test, if you end up eating something before the blood test, fatty substances from your food will enter into the bloodstream and may give you higher readings. Liver Function Test – Your liver works like a factory inside your body. It is essential for the formation of enzymes, hormones, fats, proteins and nutrients as well as for metabolism of all of these. Getting accurate readings is therefore essential for a liver function test. Thyroid Function Test – Release and circulation of the thyroid hormones depend in a lot of dietary factors as well. Nutrients from your food may interfere with test results if you happen to eat something before the blood test. Renal Function Test – This test is an estimate of how well your kidneys are functioning in terms of blood levels of urea and creatinine. The main role of kidneys is to excrete waste from the body via urine. Eating before blood test for RFT will cause breakdown of food substance and an increase of excretory substances in the blood stream. Some laboratories also perform serum electrolytes as a part of the renal function test. Eating salty food or fruits will show a temporary rise in sodium and potassium; whereas the base counts may be much different when taken after fasting. Iron Test – This test is particularly done in anemic subjects. The reason to be fasting before this blood test is that iron is one of those substances which are absorbed very quickly into the blood. Not fasting before a blood test for iron will show elevated levels of iron in the blood. Another care to be taken is to not take any multi-vitamins or iron supplements at least 24 hours before a blood test for iron. Blood tests other than the ones mentioned above do not require fasting and can be done at any time of the day. Schedule your blood test preferably in the early morning. Because your hours of sleep are also included in your fasting duration. How Long Should I Fast Before Blood Test? You are required to fast for up to 12 hours before going for a blood test. Drinking coffee, tea or even water can affect blood test results. Avoid Over Fasting, this particularly applies to diabetic individuals and pregnant women. Over fasting can cause dehydration and hypoglycemia in diabetics. Over fasting can also sometimes alter test results. Make sure to carry some snacks to your physician’s office so that you can eat immediately after blood is drawn. Blood glucose for post prandial levels requires you to eat and give a blood sample after an hour of a meal. 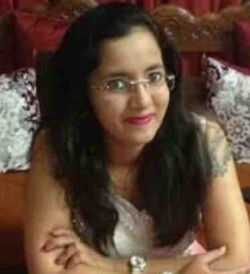 Hopefully, this article has given you a good idea about fasting for blood tests and which blood tests require fasting. These questions should additionally be clarified with your physician. This is because your physician will be able to guide you better.